In contrast to the flooded phreatic zone of a cave, the ‘vadose’ zone is one where water flows freely along the floor of air-filled passages. 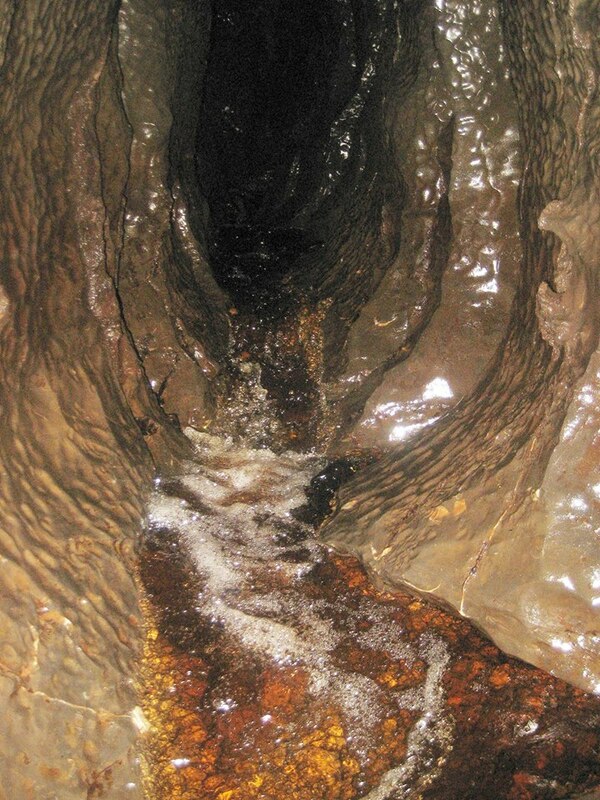 Flooding may raise the water to roof level – often dramatically so – but otherwise these are the clean-washed, walk-in passages that make caving in Yorkshire such a delight. The limestone walls are often beautifully scalloped according to the general speed of flow, with more dense scalloping indicating a fast moving stream, as opposed to the wider network produced by slower moving water. Many vadose canyons often began life as phreatic (totally flooded) passages where an underground stream effectively eroded its own bed, allowing a passage of air above – or where a fall in the water table allowed a trench to be cut in a former phreatic tube, producing the classic ‘keyhole’ profile. 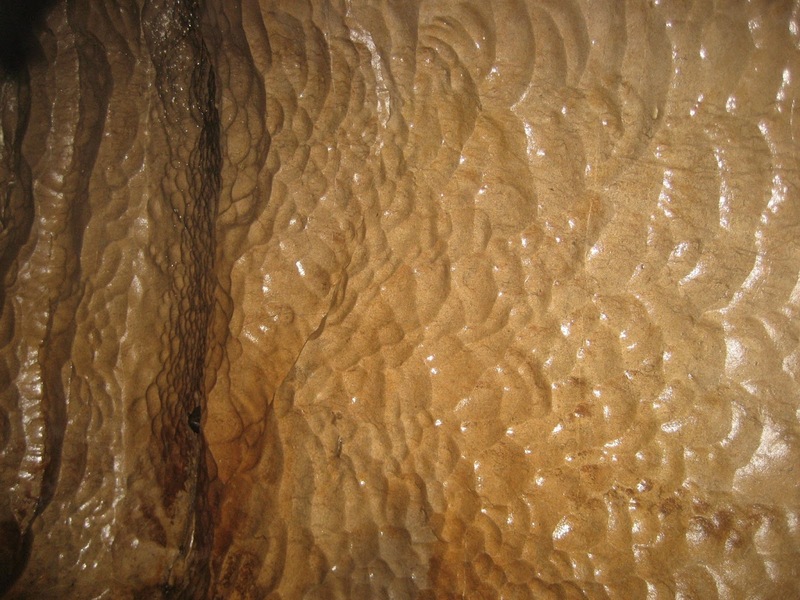 In contrast, water may exploit a single vertical joint in the limestone, with the base eroded laterally to produce a beautiful bell or ‘teardrop’ passage. 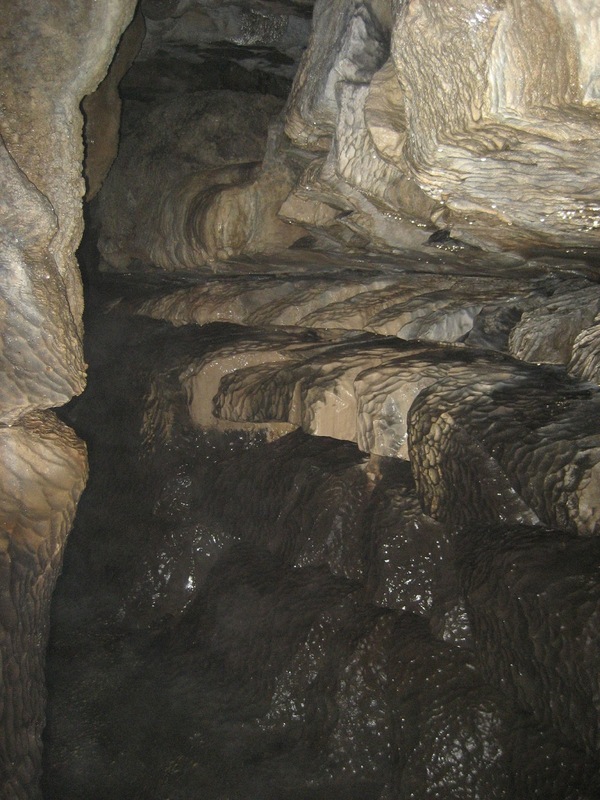 A large joint exploited beneath major bedding produces a squared canyon with a planar roof, as can be seen in Upper Long Churn Cave. Pools and cascades occur where streams have eroded through weaker zones in the floor such as shale beds, to find a new level. 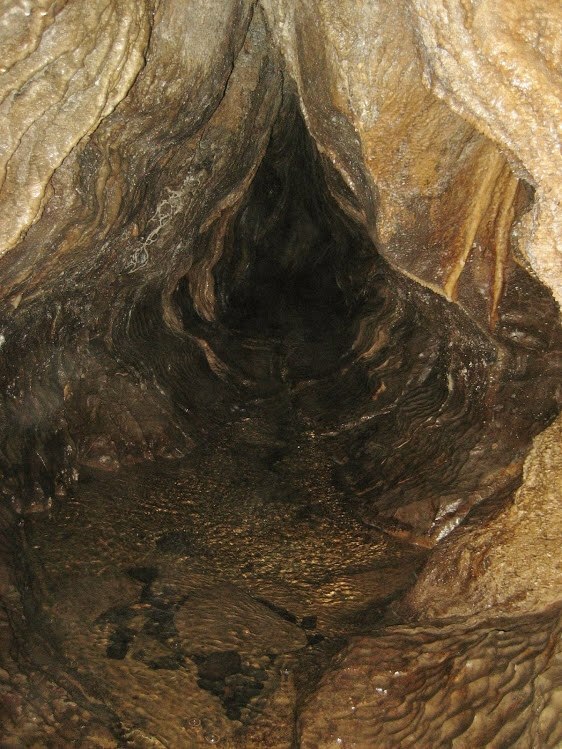 In many of Ingleborough’s best-known caves, ‘pitches’ bar the way for all but well-equipped cavers. Simply described – these are underground drops varying from a few metres to the great shafts inside Nick Pot and Juniper Gulf. Here the water has dropped down a major joint or fault, through many beds and past many bedding planes – to continue its journey. Oxbows are common features within the vadose zone. Steams will always seek new and lower routes as they gradually move downhill through the limestone – and in doing so they leave many of these classic oxbows at higher level – indicating their former route. Many of these oxbows are still active in times of flood, and there are good examples in Great Douk Cave and in the Long Churn system, as well as in the shallow stream caves at Ribblehead. 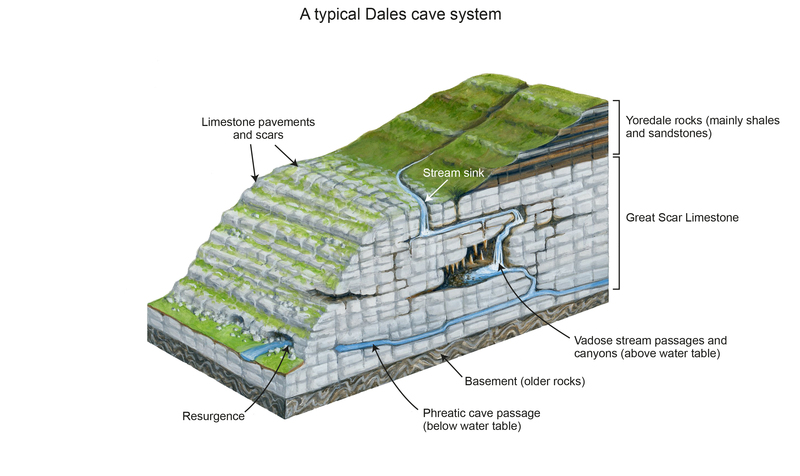 Large, formerly vadose passages that have been abandoned by the stream as it has sought a new and lower route are known as ‘fossil’ passages, and the caves of Attermire Scar above Settle are excellent examples. 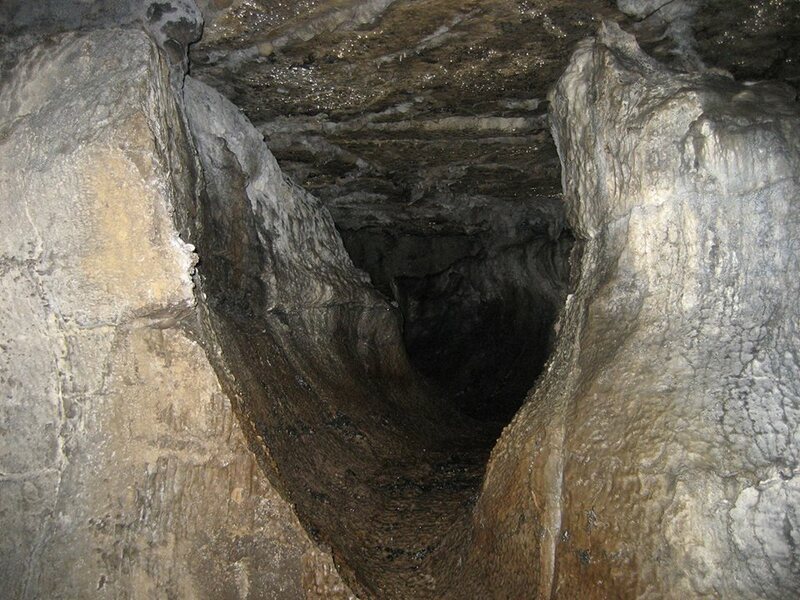 Some vadose caves drain out freely into daylight and it is possible to follow the passage all the way through, as in Runscar Cave at Ribblehead, but most eventually meet the phreatic zone at what cavers refer to as a ‘sump.’ Only cave divers can experience the joys of adventure from this point onwards. 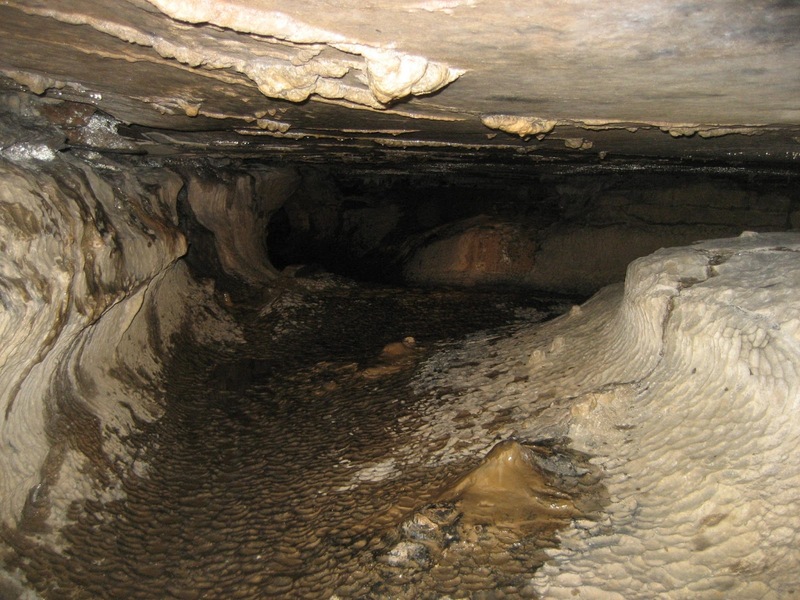 It is important to remember that there have been many systems of caves in the Ingleborough area – and previous suites have simply eroded away over immense periods of time. We are looking at the latest versions – even though modern dating methods have dated many caves back further than was formerly thought. 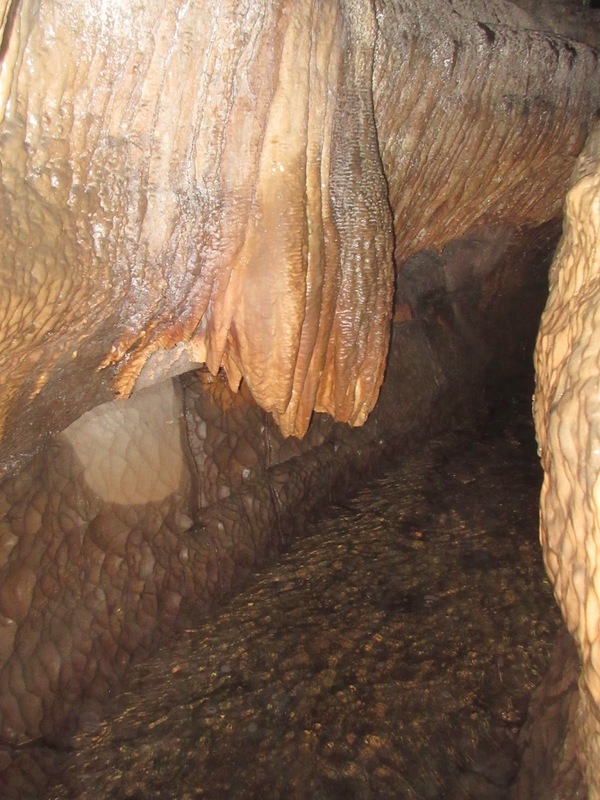 Part of the main streamway in White Scar Cave, for example, dates back more than 350,0000 years.